Desire for new experiences in nature and fascination by natural and modern materials put us together so that we could create a prototype, which connects advanced technology and a unique design preserving the natural beauty of wood. 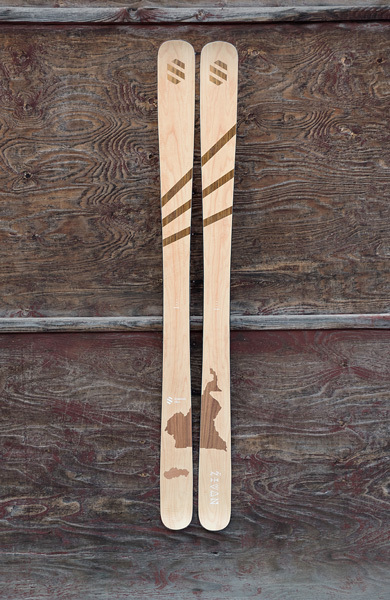 We are putting our hearths and soul into the creation of an ideal pair of skis. 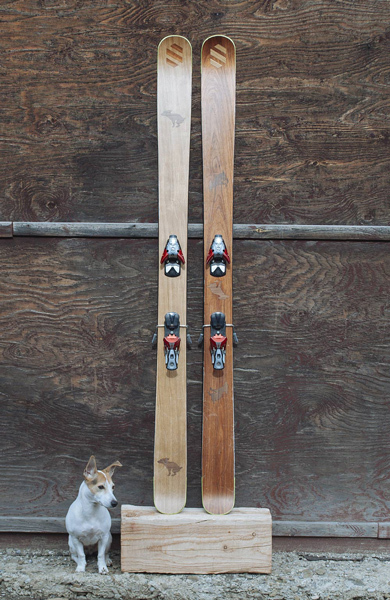 Uncompromising Free-ride Skis. 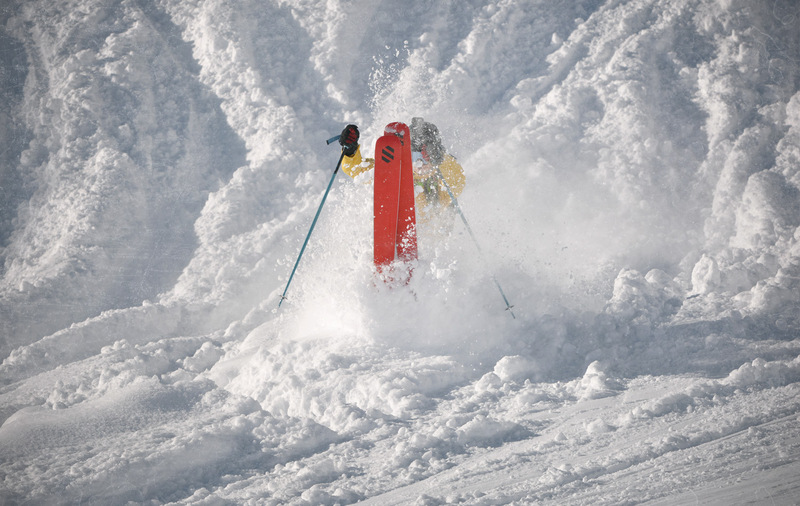 Width, length and full rocker construction offers the ideal experience for gliding in the powder. A larger radius allows riding in big smooth turns. 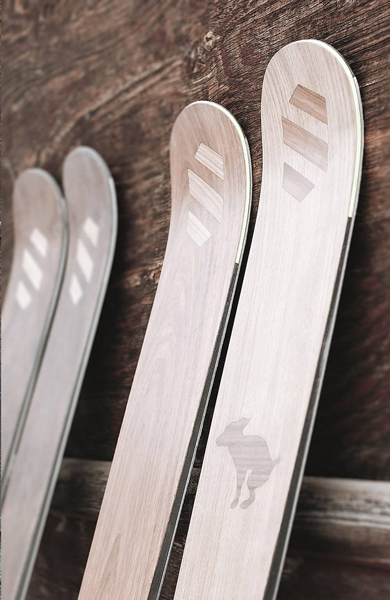 In spite of size of the skis, the combination of material used allows to keep the weight of the skis to a minimum. 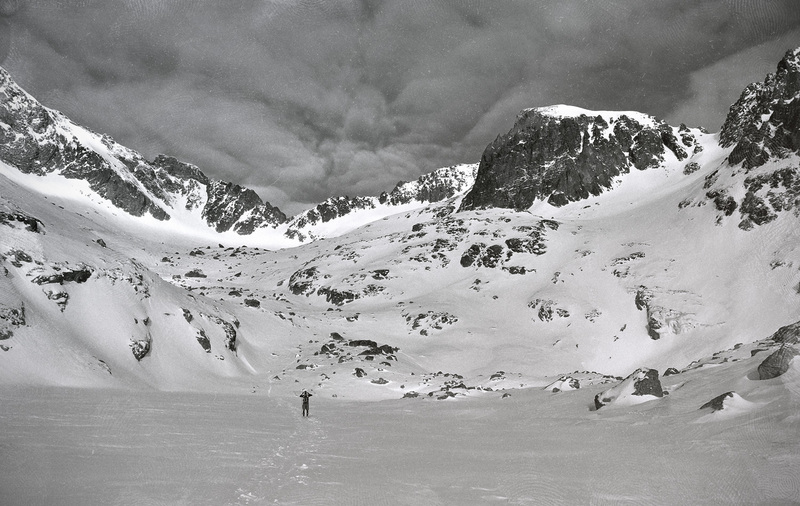 Thus, HRTC skis allow the free-riders to go ski-touring in their dreamed and inaccessible mountains. 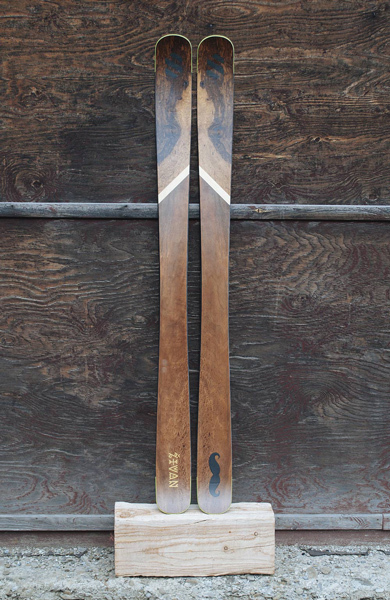 HRTC skis are available in 185 cm and 195 cm. 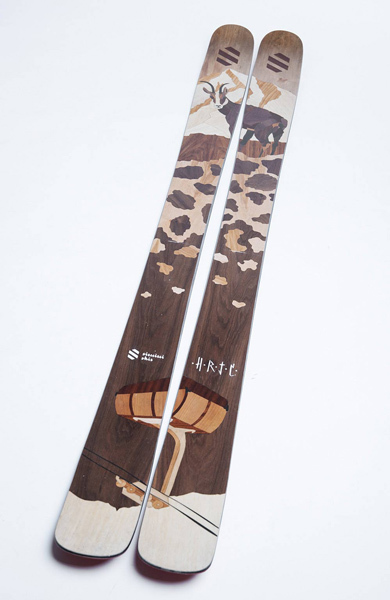 The top sheet is made of American or African nut in combination with visible pattern in the frontal area of the skis. 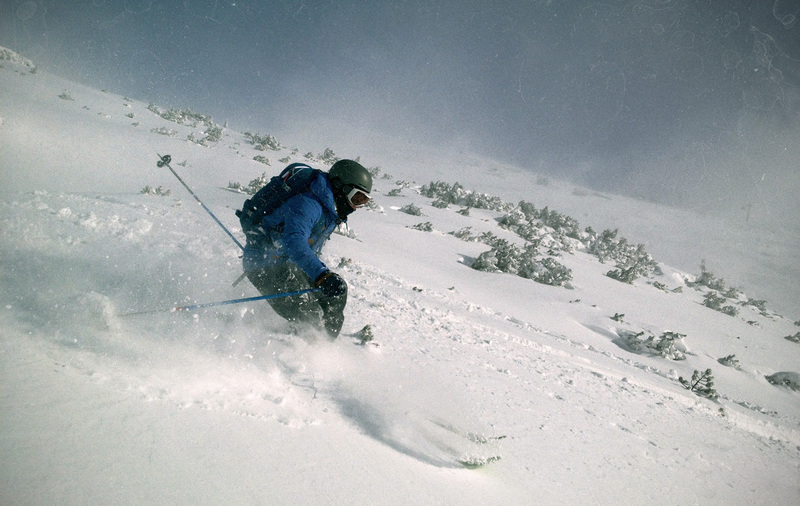 Živan is an all mountain ski. It does not fear the forest due to its playfulness and dexterity. 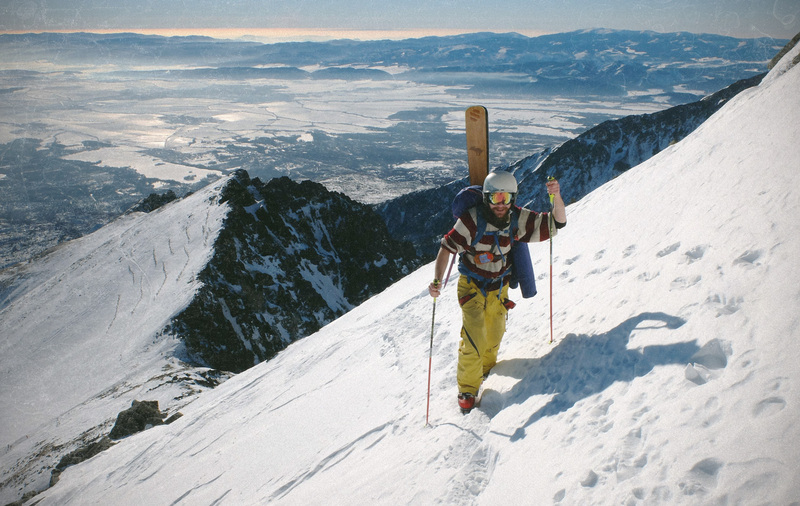 Even though its philosophy and construction preordains riding in powder terrain, it is very comfortable on ski slopes too. 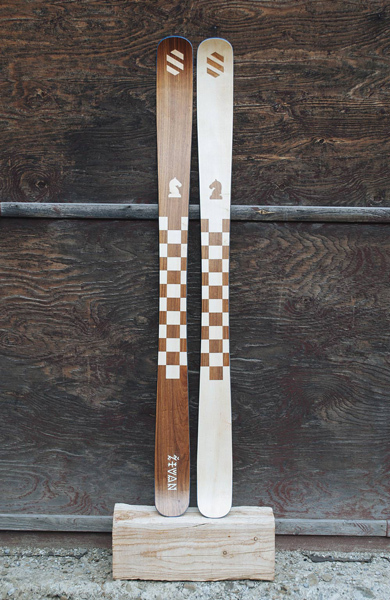 These characteristics make Živan our most universal pair of skis, they are suitable not only for beginners, but they also excel in free-ride or backcountry skiing. 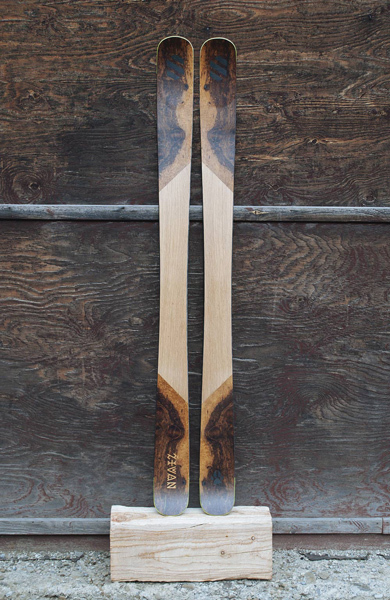 If you carve hard, their properties can behave as slalom skis. Then the combination of the wooden core and carbon gives the perfect bond. Optimal hardness and stability is ensured by combination of the following, thoroughly chosen ash and aspen wood in the core and strategically placed layers of fibre glass and carbon composite. Živan is available in the length of 175 cm and 185 cm with a simple design highlighting the natural beauty of the organic material – wood. TLV is ideal for all park skiers. Twin tip symmetric construction and a selection of the best materials allows dynamic riding, TLV is loaded with an arsenal full of crazy tricks. Your individual style is highlighted by a fresh design using wooden inlay in 3 colour versions. 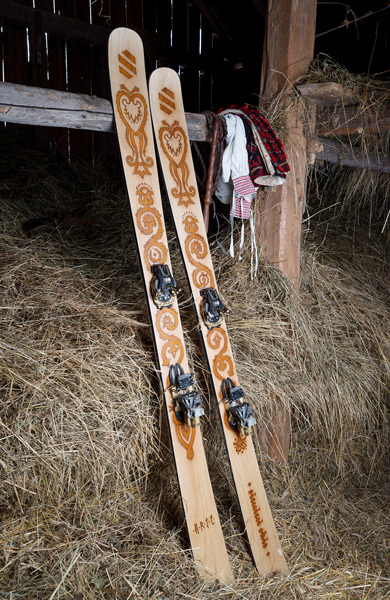 We are offering customized skis in order to satisfy specific needs of the skier, in terms of both visual design and riding properties. 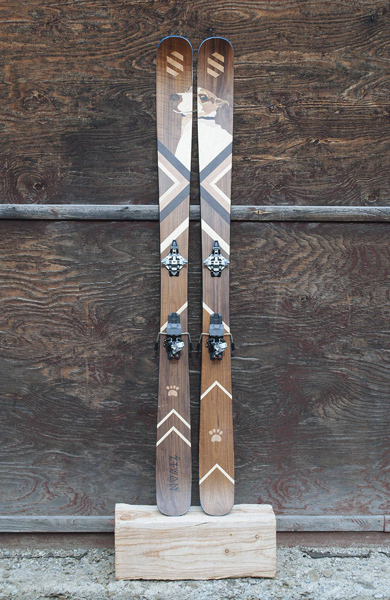 Uniqueness is an additional value of our skis. 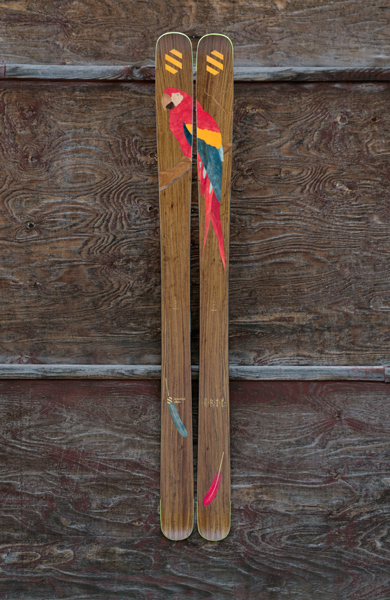 Every pair of skis is a piece of art, designed and made handmade by professional artists.